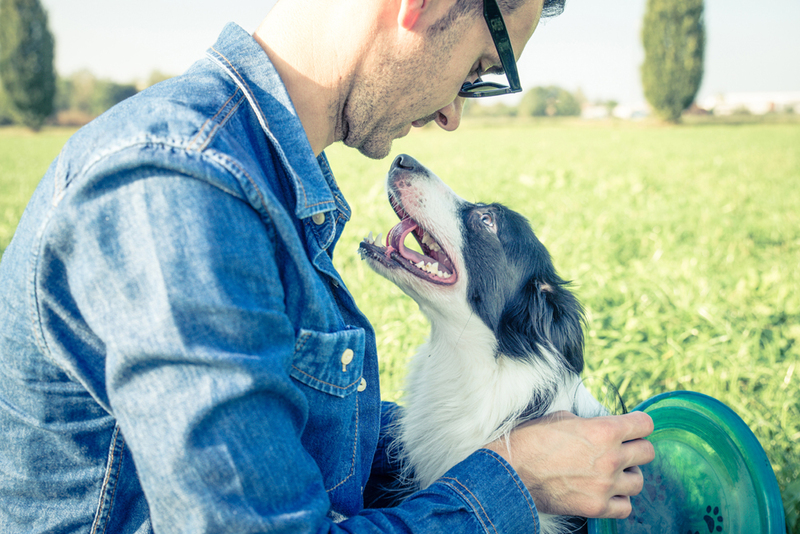 Home >> Positively Contributors >> What Are You Teaching Your Dog? Do you go into your training sessions with a clear plan of what you want to achieve? I don’t mean you need an excel spreadsheet, fully charged expensive video camera on a tripod, two pretty toys of different value and a bag containing 100 evenly sized treats. That "training sessions must be huge, long and totally organised" way of thinking is what STOPS a lot of us training at times, so what can we do to clarify and simplify the whole training thing? Remember your dog is learning all the time, whether you think you're training or not, so it's best to try and head that learning in the direction you want it to go! When you’re with your dog – train something. It might be one repetition rewarded with praise and a cuddle. That’s actually okay! Train one thing at a time. Maybe it’s sit on cue. Maybe it’s sit fast on cue. Maybe it’s stay sitting until released. Keep the goal simple enough for you to remember and clearly teach. Get feedback from your dog. You think you know what you’re teaching. Is that what they are learning? Sit on cue to a dog often means something like ‘sit beside or in front of my person when they hold a treat in their right hand and lean over me’. Mix things up a bit to see if they ‘really’ understand. Sometimes this process makes us realise we don’t really understand what we’re teaching or how to teach it! Get feedback from a person. You don’t know what you don’t know. Having a training buddy can help build motivation to actually do some training. It can also speed the whole teaching process up because they know and see things you miss. Besides it’s companionable! Expect failure. It’s feedback. Learn from it. Train little and often. Look for opportunities to train e.g. sit to get the leash on, sit at the kerb, sit before the ball is thrown. Use props e.g. sit on a log. Remember that handling can be trained too. On walks, I practise handling feet and checking in the mouth of my younger dog who isn’t very fond of either move! I could easily be away from home when she needs me to remove something she’s eaten or gets something stuck in her pad. I don’t do 100 reps and stress her out. Just one or two here and there. Rewards can be anything the dog wants at that moment. They don’t always have to be food. Rewards can include being released to run, to play to swim, to carry on the walk, to sniff etc. Build value for praise, stroking and play with you. Just remember that a high value reward will be needed for a high value behaviour. If the job is hard (e.g. recall from play) - don’t do it too much or too often and pay generously! When you get in the groove and YOU are having fun, remember to quit while you’re ahead and the dog wants more – not when your poor hound is wishing it was over. Some dogs will work a lot longer and harder than others but pushing on for ‘just one more rep’ will eventually lead to failure. Learn the Goldilocks point for your dog. That’s the point where the training is just right. Make it happen. Don’t just read this, nod and carry on as usual. Make it happen. The little things you do; the little steps you take; the little adjustments you make – these are the things that add up and build that well trained companion you want and will thoroughly enjoy.